Discussion in 'iPhone and iPad Games' started by asd4683, Dec 30, 2015. Dark Fantasy Run And Shoot!!! 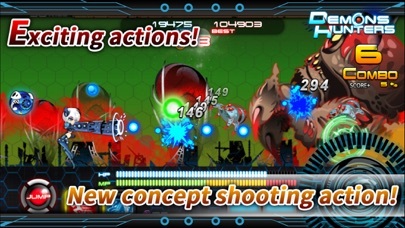 New concept action play! Demons Hunters!!! New concept play! Run and attack the boss! 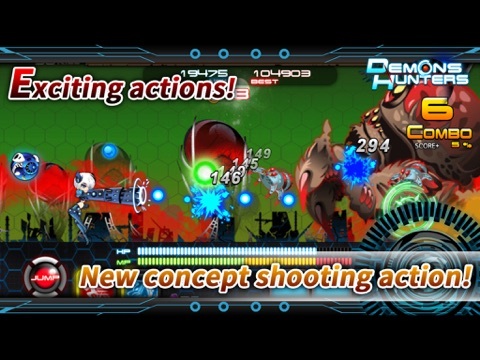 Demons Hunters is the new concept Action Shooting game. (You can play the game without network connection.) 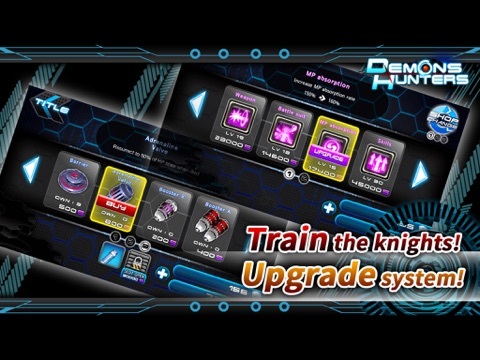 [ Game features ] + Destroy the stronghold of the demons by training your own knights. You can make your knight stronger by upgrading characters. Each knight has its own unique features. Choose and train your favorite knight. + Make units and go into the battlefield Unit participates in the battle, increases the knight's ability. Increased the unit's level. Stronger until will help you at the battle against the demon. 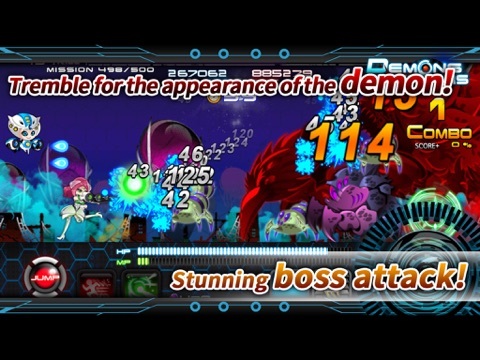 + Go into the battlefield after learning the characters and skills of each demon. Each demon has its own characteristics and skills. Learn their characteristics and skills and make a tactic to suppress. Be careful, the monsters also attack the knights with different patterns. + You are ready to play after completing a short tutorial. You can choose the attack location by simply touching. Auto run makes it intuitive and simple. Check out the tutorial! You can earn the reward. + Become the top of the top by playing against knights in the world. You can fight against the knights in the world through the Game Center in Demons Hunter. 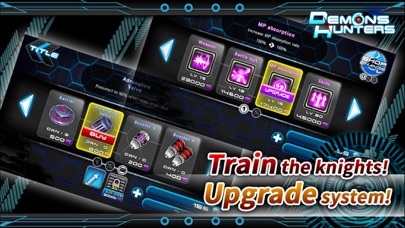 Train your knights hard and improve your control skill and tactics. Gain the Top of the Top title. New concept play! Run and attack the boss! Demons Hunters is the new concept Action Shooting game. You can choose the attack location by simply touching. Auto run makes it intuitive and simple. Each demon has its own characteristics and skills. Learn their characteristics and skills and make a tactic to surpress. Be careful, the monsters also attack the knights with different patterns.